Central Excise Collectorate Chandigarh was created in the year 1971 after bifurcation of the then Customs Central Excise Collectorate, Delhi. At the time of its creation, the jurisdiction of the Collectorate extended over the States of Punjab, JK, Himachal Pradesh, Haryana and Union Territory of Chandigarh. In the year 1979, the State of Haryana was detached from the Collectorate and was attached to Central Excise Collectorate, Delhi. The Commissionerate of Central Excise and Customs, Chandigarh was trifurcated with effect from 16 th July, 1997 vide Notification No. 20/97-CE(NT) dated 09.07.1997 and two Central Excise Commissionerates; Chandigarh-I II and Customs Commissionerate, Amritsar were created. The jurisdiction of the Central Excise Commissionerates at Chandigarh-I underwent a change with effect from 25th day of October, 2002 following the restructuring of Commissionerates vide Ministry of Finance Notification No. 14/2002-CE(NT) dated 8.3.2002 34/2002-CE(NT) dated. 1.10.2002. The jurisdiction of the Central Excise Commissionerate Chandigarh-I again changed with effect from 1st day of April, 2009 following the restructuring of Commissionerates vide Notification No. 06/2009-CE (NT) dated 30.03.09. The jurisdiction of the Central Excise Commissionerate Chandigarh-I now again changed with effect from 15.10.2014 vide Notification No. 27/2014-CE(NT) dated 16.09.2014 (Trade Notice No. 07/2014-CE dated 01.10.2014). 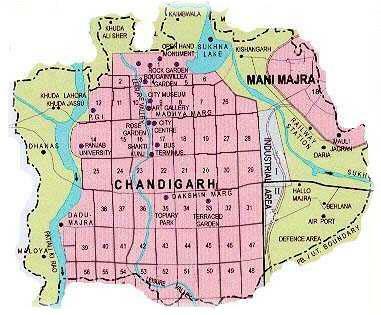 The Commissionerate Chandigarh-I now has jurisdiction over the Revenue district of Fatehgarh Sahib in the State of Punjab, the entire State of Himachal Pardesh and the Union Territory of Chandigarh.